Koch, Hans, b 7 July 1894 in Lviv, d 9 April 1959 in Munich. 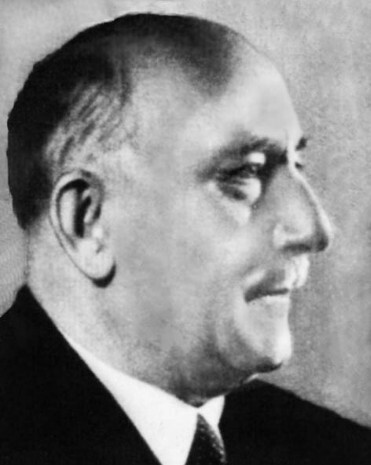 German historian; full member of the Shevchenko Scientific Society from 1949. A graduate of the University of Vienna (Ph D 1924), he was a professor of East European history at Königsberg, Breslau, Vienna, and Munich universities and director of the East European institutes in Breslau (1937–40) and Munich (from 1952). Koch took part in the struggle for independence (1917–20) in Western Ukraine as a captain in the Ukrainian Galician Army. During the Second World War he was an officer in the German army involved in Ukrainian affairs; in 1939–40, as a member of the German repatriation commission, he helped many Ukrainians escape the Soviet occupation of Western Ukraine. In 1952–4 he was a founder and chairman of the Herder German-Ukrainian Society. A specialist on the history of the Ukrainian church, he published articles on the Ukrainian Autocephalous Orthodox church (1928), the early relationship between Byzantium, Ochrid, and the church in Kyiv (1938), and the theory of ‘Moscow as the Third Rome’ (1953), and the monograph Ukraine und Protestantismus (1954). Koch also published German translations of Ukrainian literature (1955). His memoirs focusing on the struggle for Ukrainian independence, Dohovir z Denikinom (The Agreement with Denikin), were published in 1931. His biography and complete bibliography are found in Jahrbücher für Geschichte Osteuropas, 7 (1959), no. 2.